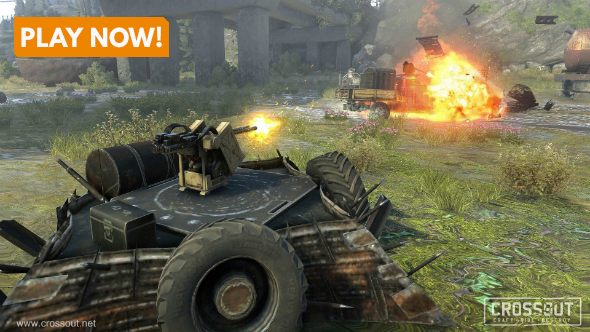 Free games: Win a pack of goodies for post-apocalyptic vehicular action-MMO Crossout! Resources are important in Crossout. 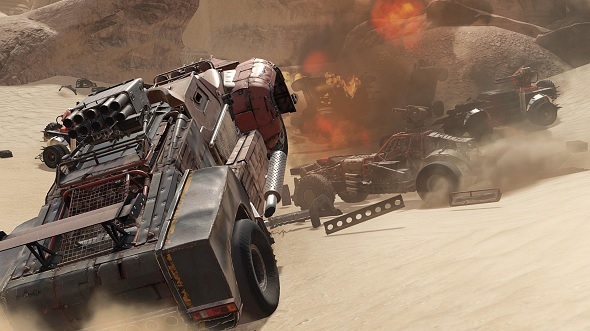 You need as many as possible in order to construct your battle machine – piecing together scrap and weapons to create anything from a dune buggy to a monstrous antigrav truck. Good job we’re giving you the chance to win a little boost for your post-apocalyptic travels then, eh? That means you can give your car a new look and then purchase something new, perhaps something deadly, to attach to it. Given that Crossout is a game about creating and fastening parts to your vehicles, making them faster and tougher while packing more of a punch so you can take on other online players, these gifts should come in handy. In order to win, however, you will need to enter our competition via the widget below.Every action you complete is worth one entry into the giveaway, and the more actions you complete the more chance you’ll have of winning. We’ll also need your email address so we can send you a code upon winning – we won’t send you spam, we promise.